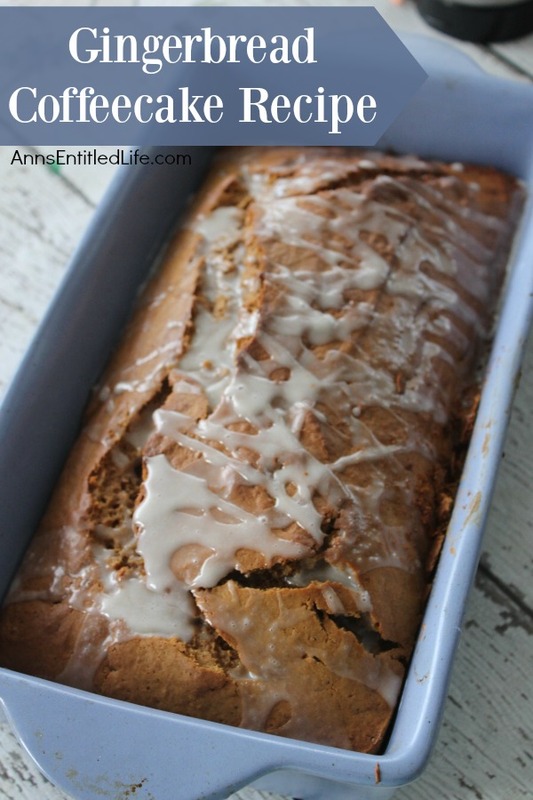 This Gingerbread Coffeecake topped with a ginger glaze icing is a great way to cap off a winter meal or start the day with a good cup of coffee. 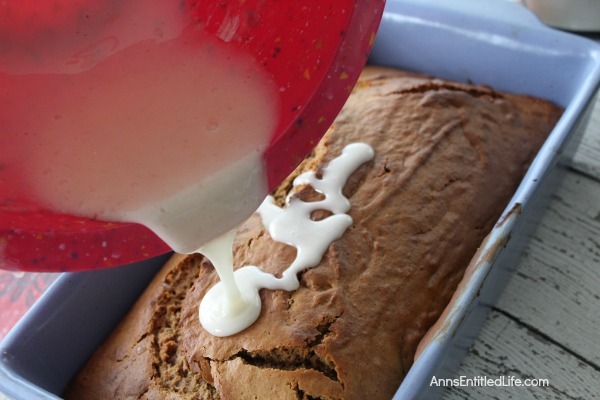 The cake is lightly sweetened and has a delicious spiciness to it; an easy way to get your gingerbread fix! • Grease and flour 1 large loaf pan (9 x 5 x 3″). 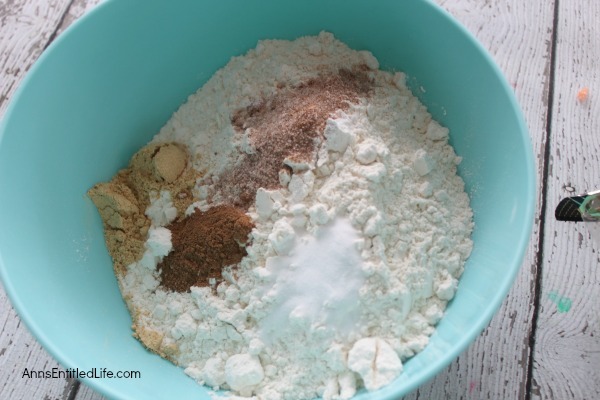 • In a large mixing bowl combine all-purpose flour, ginger, cinnamon, nutmeg, baking soda, salt and baking powder. • In the bowl of your stand mixer place egg, molasses, applesauce, milk and brown sugar; mix until well combined. 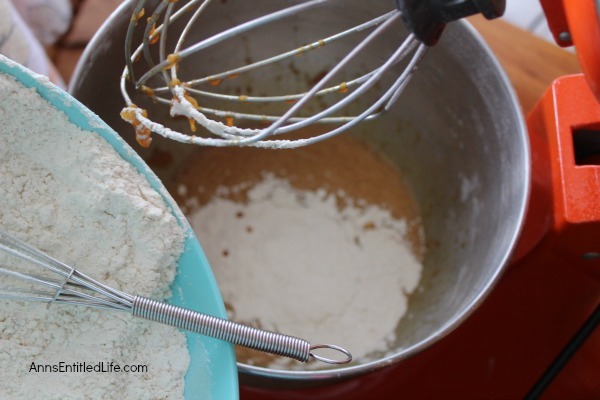 • Slowly incorporate flour mixture into wet mixture until just combined. 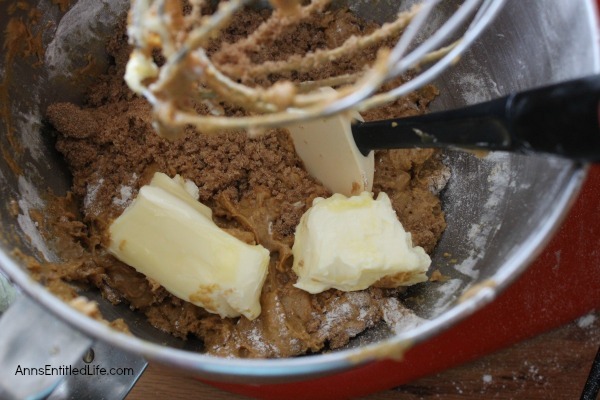 • Mix in one stick of softened butter; combine well. • Pour batter into prepared loaf pan. • Bake for 40 to 45 minutes at 350° until top is golden brown and if you insert a toothpick in the center it comes out clean. 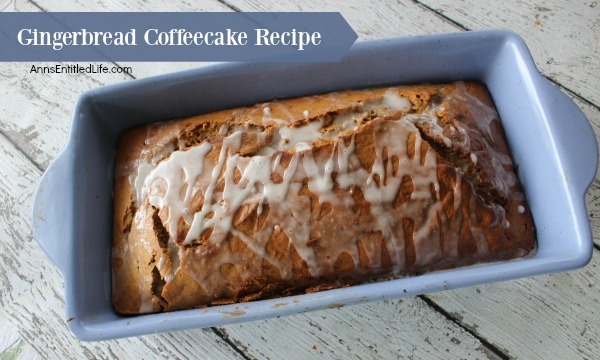 • Allow gingerbread coffee cake to cool completely. • Place powdered sugar, nutmeg, and ginger in a small bowl. • Slowly incorporate milk, a teaspoon or two at a time until the consistency is fluid but not overly runny. 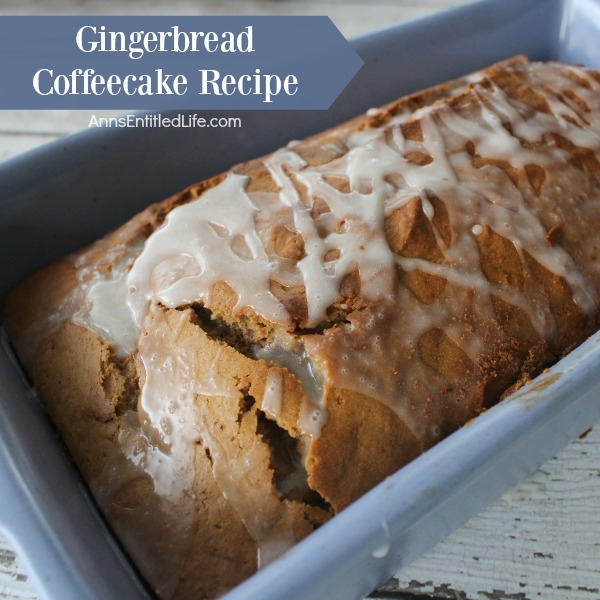 • Pour over the top of the gingerbread coffeecake, and allow to set. • Slice, serve, and enjoy! • You can use one large loaf pan (9 x 5 x 3″) which typically holds 8 cups, or two smaller loaf pans (8″ x 4 x 2½”) which typically hold 4 cups (so 4x 2 = 8). • You can wrap these up for gifts, to bring to a potluck dinner or for a bake sale! • If you like gingerbread cookies, this is a much easier way to get your gingerbread fix. 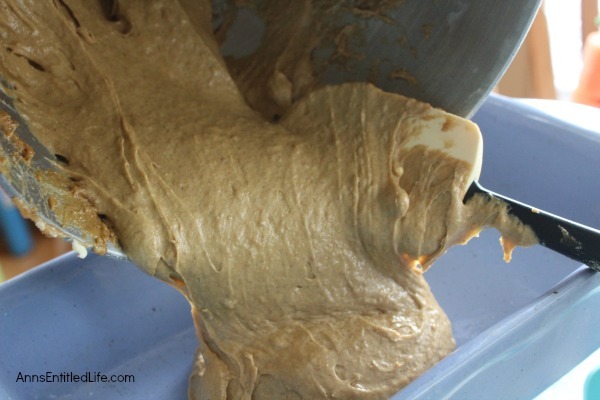 • Pour over the top of of the gingerbread coffeecake, and allow to set. 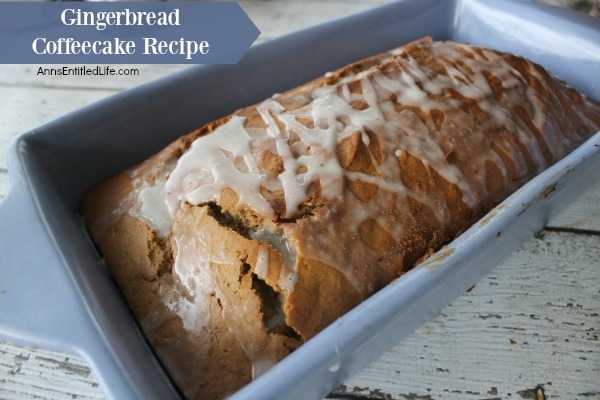 • To print the Gingerbread Coffeecake recipe, click here. Oh yum, this sounds so delicious! Bread always makes the house smell so good, and I’m sure this one even more so. One question, do you cool bread, then remove from pan, and then add icing? Wondering how you sliced bread while in the pan, that can ruin slices can’t it? Linda, this one shows icing was added in pan. Some is left behind though, and yes, the slices can be less than firm that way. You could remove the bread from the pan first (use a butter knife to loosen the sides), and then add the icing – but the icing will drip down, so make sure you have put the bread on a cutting board or plate first. Or, you could remove the gingerbread, slice it, plate it, and then drizzle some icing on the cut piece (this assumes you are serving most/all the bread at one time). What can I substitute dark molasses for? I don’t have applesauce, can I replace with oil and not use the butter?